Finding family friendly low-carb recipes can be a struggle. One go to ingredient you can work miracles with are eggs. Yes, the incredible, edible egg! I love that you can mix in practically any ingredients with eggs, throw the mixture in a pie dish and voilá! Dinner is done! Call it a frittata, a quiche, a pie, whatever your heart desires. My son is a cheeseburger fanatic (what 3 year old boy isn’t?) so when I told him we were having a cheeseburger pie for dinner his little blue eyes lit up. (It amazes me that all I have to do to get him to try something new is give it a fun name. Now if only that trick worked with my husband…) When I initially made this it was for dinner, but I will tell you the leftovers make an awesome breakfast too. 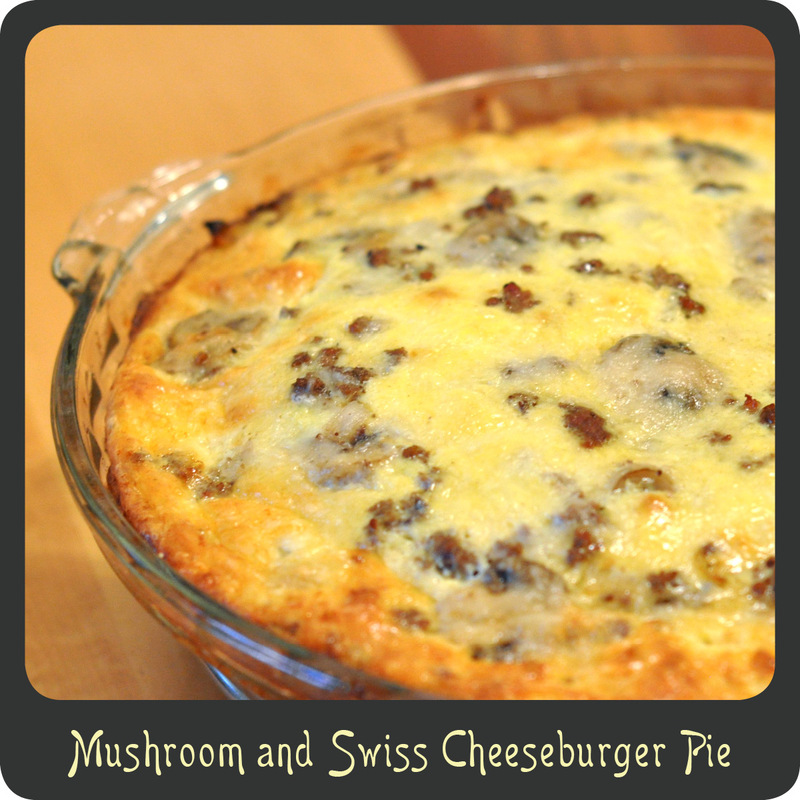 Who would have thought of throwing all your favorite hamburger toppings right into a pie dish? I will tell you who, this crazy diva! In a large skillet cook the ground beef over medium high heat. When the meat is still a little pink add in the salt, pepper, garlic powder, onion, and mushrooms. Cook until the onions are translucent and meat cooked through. Remove from heat and drain off any excess fat. In a large mixing bowl whisk together the eggs, milk, and 1 cup of the shredded Swiss cheese. Add the cooked meat mixture to the mixing bowl and stir to combine. Transfer the egg mixture to a greased pie dish. Sprinkle the remaining Swiss cheese over the top. Bake for 25–35 minutes or until set and no longer “jiggly” in the middle. you can go to calorie count and put in the ingredients in the build a recipe area and it will give you the count for carbs.